Let’s have some cross platform awesomeness fun and discover the latest and greatest features of Xamarin and how it can help you to do less and achieve more. Expect top notch talks, hands on labs, takeouts, and fancy-ish nibbles (Not pizza). Let’s go through the newest and bestest features Xamarin provides at the time of this talk, with a glimpse at what’s coming next. Xamarin Forms allows us to share a single code base among all three platforms. But when it comes to managing Image Resources, Xamarin Forms doesn’t provide a unified solution, whereas we have to manage Image Resource individually for each platform natively considering the scalability and multi-resolution support. Forms9Patch enhances Xamarin Forms to enable multi-resolution image management for iOS and Android. Simply put with Forms9Patch allows you to manage your Image Resources right from your PCL project, which also provides full support for multi-resolution resource handling and automatically takes care of it under the hood. In some cases, Charts & Graphs are essential components to visualize data and now they are getting used widely in Mobile Apps as well. 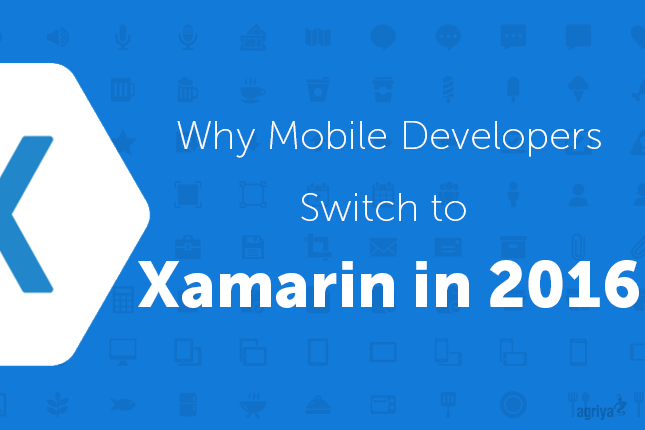 We will have a look at the options available to do it in Xamarin Apps with some samples. Thanks again to Michael and Engineers.sg team for documenting Singapore’s awesome tech scene. What’s new with Xamarin right now !!! !